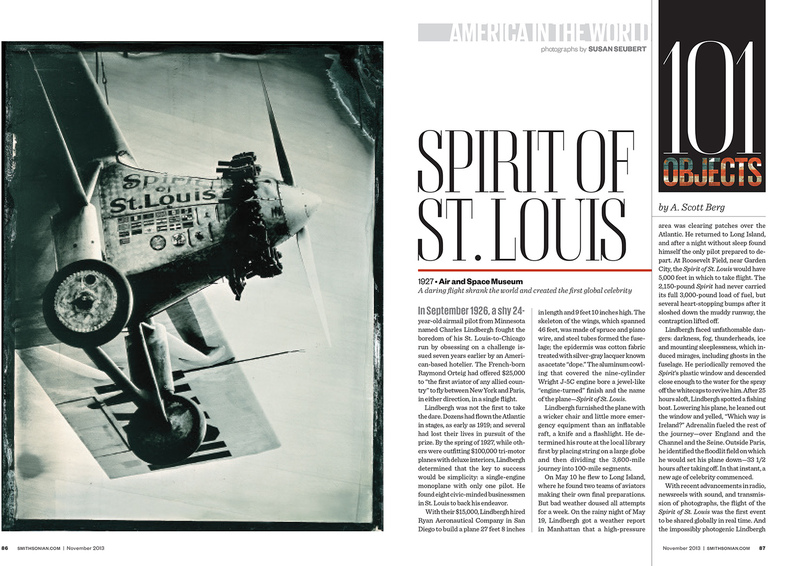 The April issue of Smithsonian Magazine features a photograph that I made on assignment in Washington, D.C. last November. I was invited by the magazine to make an image of the Green Book, a guide first published in 1937 for African Americans who traveled by car and needed to navigate the segregated United States. The magazine was started by Victor H. Green, a black postal carrier from Harlem. It began as a slim, 15-page directory with recommendations in the New York area and listed safe places for black travelers to visit. These included gas stations, hotels, beauty salons, golf courses and even individuals who welcomed people into their homes. The guidebook grew as people contributed to the directory and eventually this publication encompassed areas outside of the U.S. You can read the story here. 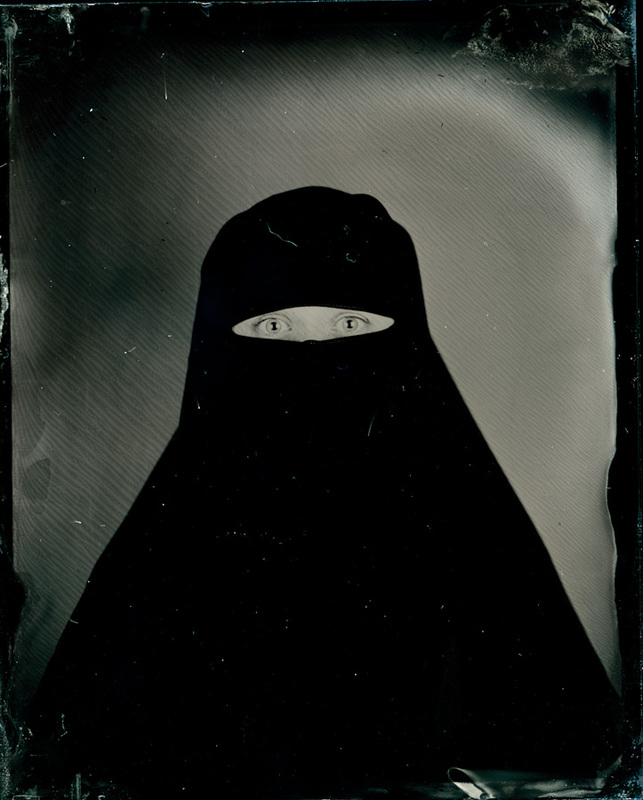 The image was created using the wet-plate collodion technique, known as an Ambrotype, a photographic process that dates back to about 1851 and was used as documentary photography tool during the American Civil War. I have used this process for a variety of applications from magazine stories to personal projects. You can read a review of the show by David Stabler here. The work addresses notions of hindsight bias and memory. In conjunction with the Photolucida Events, I’ll be speaking at the gallery on April 25th at 11am. The talk is free and open to the public and I hope to see many of you there! The Froelick Gallery is located near the intersection of NW Davis and Broadway at 714 NW Davis in the DeSoto Building. This was one of the most challenging assignments I’ve had in recent years. I received a call from my editor at the Smithsonian Magazine asking if I would be available to shoot in Washington, D.C. It was going to be in July, (read: hot! ), and would take about a week. 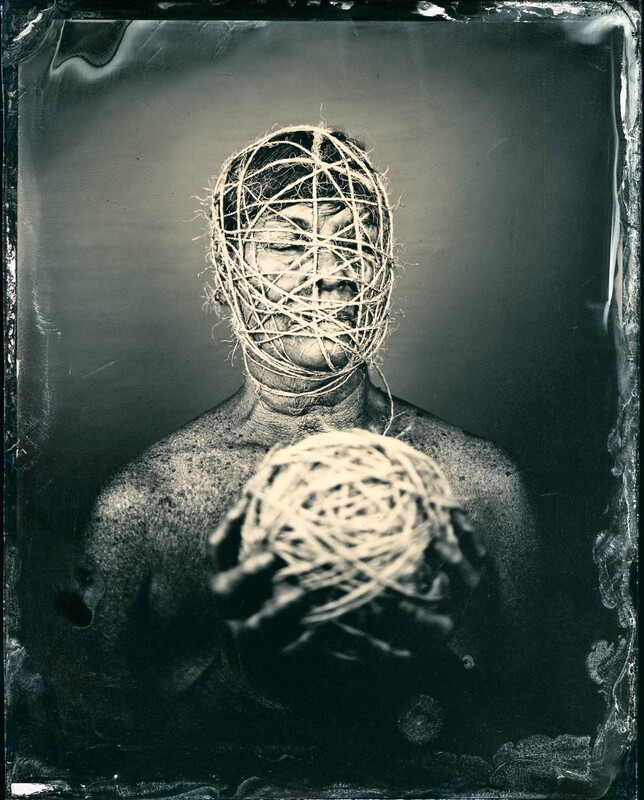 The editors at the magazine were busy coordinating seven photographers from around the United States, including Dan Winters, David Burnett and Albert Watson, to photograph a collection of objects at various Smithsonian Museums. I have been working in wet-plate collodion for about five years now, and was surprised to learn the photography department was interested in that work for an assignment. It was the first time anyone had ever commissioned work from me based on my “fine art” portfolio. The title of the issue is called, “101 Objects That Made America.” The segment I photographed is entitled, “America In the World,” and all the objects that were chosen have to do with America as it relates to the world. You can see the pictures online here. The pieces I was assigned to photograph span five centuries. The oldest “object” was a Novus Orbis map from 1532, based on tales from Christopher Columbus and Amerigo Vespucci. It depicts the world as round, which at the time was a new idea, South America takes up most of that hemisphere and Cuba is where North America lies. The youngest object that I was assigned gave me the most pause and I felt a bit of a chill when the curators brought it to our makeshift studio. It is from 2001 and was donated to the Smithsonian by the New York City police. The stairwell sign from the 102nd floor of one of the twin towers that was destroyed in the terrorist attacks of September 11th was gently put on the set. It had been found at the dump where the debris from the site had been taken in order to find any human remains or other significant evidence from that terrible day in American history. When the issue was launched, the letter from the editor invited people to discuss the objects chosen for the special issue and to participate in a dialogue about what was included and why. I cannot imagine the vetting process of choosing only 101 objects out of 37 million. However, to be in such close proximity to things such as the Pocahontas engraving – the oldest piece in the National Portrait Gallery’s collection – was an extraordinary experience and one I will never forget. 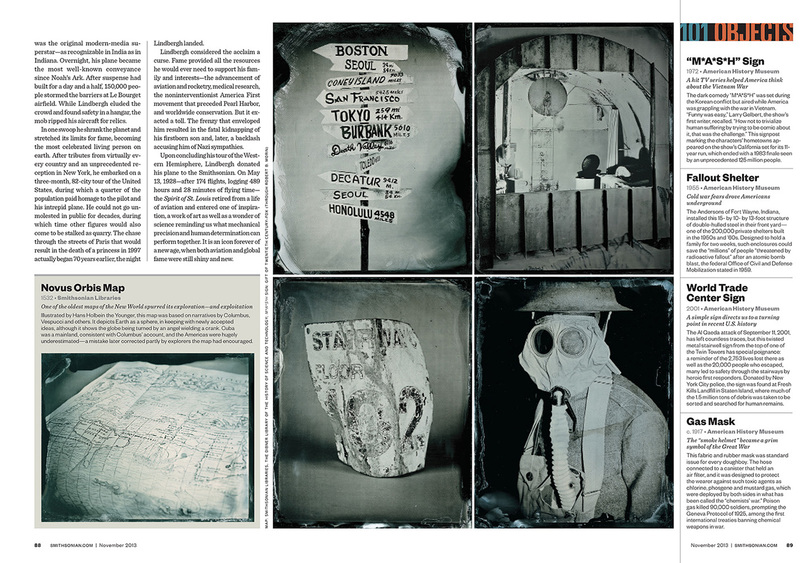 The second spread in Smithsonian Magazine where the oldest and newest objects are placed alongside a gas mask from World War I, the sign from the TV show, Mash, and a salvaged nuclear fallout shelter. This year I was one of 24 artists/teams selected for the citywide Oregon Biennial, Portland2012 which was held earlier this year. Portland2012, the Biennial of Contemporary Art, is a major survey of work by visual artists who are defining and advancing the contemporary arts landscape in the state. The show was presented by Disjecta and curated by Prudence F. Roberts. My installation at Disjecta is titled, “The Digital Divide,” and consists of a series of QR codes installed in the gallery which, when scanned with a smart phone or other hand-held device, takes the viewer to videos and/or text. The artist statement follows below. You can view the installation on my fine art web site here. The videos can be watched by scanning the QR codes from your computer screen, or by visiting the multimedia portion of my web site. I would like to thank the fabulous people at Disjecta, Ms. Roberts, Marc Greenfield and all the volunteers that helped make this piece possible. 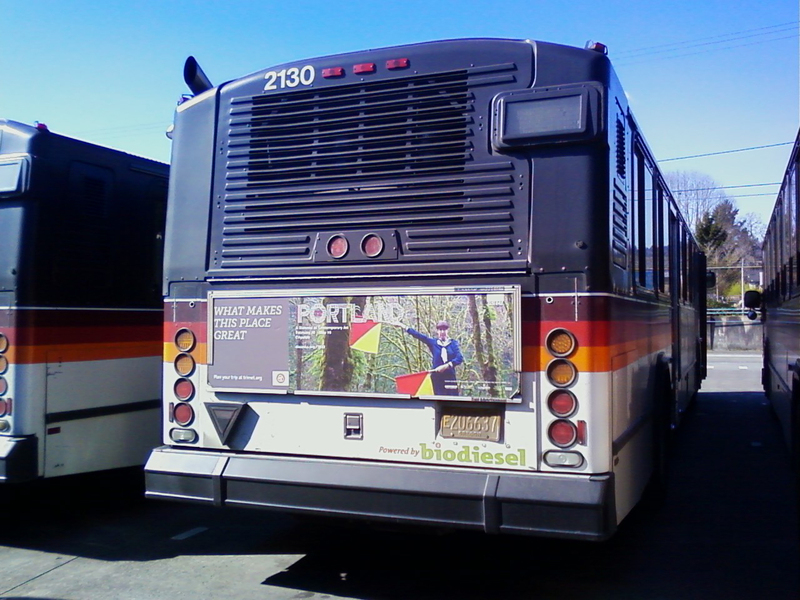 Tri-Met was a wonderful sponsor and included some stills from the videos on the sides of buses and on bus stop shelters throughout the city of Portland. A still from “The Digital Divide,” an installation piece for Disjecta’s Portland2012, A Biennial of Contemporary Art. QR (Quick Response) codes are a type of matrix barcode, which consists of black modules arranged in a square pattern on a white background. They were designed by the Japanese in the early 1990’s to track vehicles during the manufacturing process. The use of the QR code is growing as a point-of-purchase symbol, where the consumer can scan the code and be taken to a video about whatever product to which the code is connected. The codes can be used for urls, text or numeric information. The problem is that the consumer must have a smart phone, access to the Internet and the application that allows the camera to read the code. Using QR codes as a method of communication, in order to see the actual visual information it conveys, most of which could normally be seen using our eyes through traditional media, one must use a camera. Eyes will simply no longer suffice to handle the task of reading, (i.e de-coding), the image. Semaphore signal videos installed on the Internet, transmitted to the viewer via QR codes, emphasizes the digital divide that is currently prevailing in our global culture. Working on the assumption that most viewers of this piece will not be able to read the semaphore signals as letters, (which form a sentence relevant to each location where the video was made), and that there will also be a number of viewers who will not have the relevant technology to read the QR codes, the piece will have effectively alienated the viewer from at least one critical portion of the piece, therefore encompassing both ends of the digital divide. I chose to use the Semaphore code because it is being phased out as a means of communication. Although it is still used in certain military situations, (such as refueling ships or moving munitions at sea), it will soon be gone as a method of communication. The Semaphore Flags system is used for conveying information at a distance by means of visual signals with hand-held flags. Last night, Oregon Public Broadcasting aired their twice weekly segment on art, called Oregon Art Beat. I was one of the three persons featured on the show. It is so strange to watch myself on tv, as I’m used to being on the other side of the camera. The piece is about the fact that I work both as an editorial photographer and a fine art photographer. I would like to thank OPB, Jule Gilfillan, Tom Shrider and Randy Layton for putting together such a nice piece. I’d also like to thank This Old House for giving OPB permission to photograph us working on location for the March 2012 cover. I am also grateful to Michele Greco for allowing herself to be filmed while we were working – so a big thanks to my favorite stylist/producer. 🙂 Although this feels like more shameless horn-tooting, I really hope that you’ll take a moment to watch the video. The Froelick Gallery, which represents my work, is part of Miami Aqua this year and has chosen several artists, including me :-), to be included in their gallery space in Miami. I’m thrilled to be represented at one of America’s largest art fairs, as Miami Aqua serves to bring West Coast artists to Art Basel in Miami Beach. Art Basel is arguably one of the most prestigious art shows in North America and this is the first year I’ve had work included in the fair. Charles and Rebecca chose to take some of my more diminutive pieces, including works from the series, “Tic, Tac, Toe,” and, “r e s t r a i n t.” If you’re in Miami, stop by the Aqua Hotel and say hi!